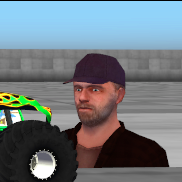 Anyone happen to know where or have the download links to some fun RoR cars to drive and crash that are not Monster Trucks? like the Gavril cars, the S10 chevy, The old Camaros,ect. have not been able to find any thing like those since the RoR repo site went down. Thanks just downloaded many. You happen to know where i can get the corrxtreme track? saw it listed in there but could find the actual file for it. im sorry i cannot find the corrxextreme track sorry m8. Seconded. The track looks cool. anyone have a link for the n-labs test facility for 4.0?